04The Best Of the Digital Marketing For Your Business! 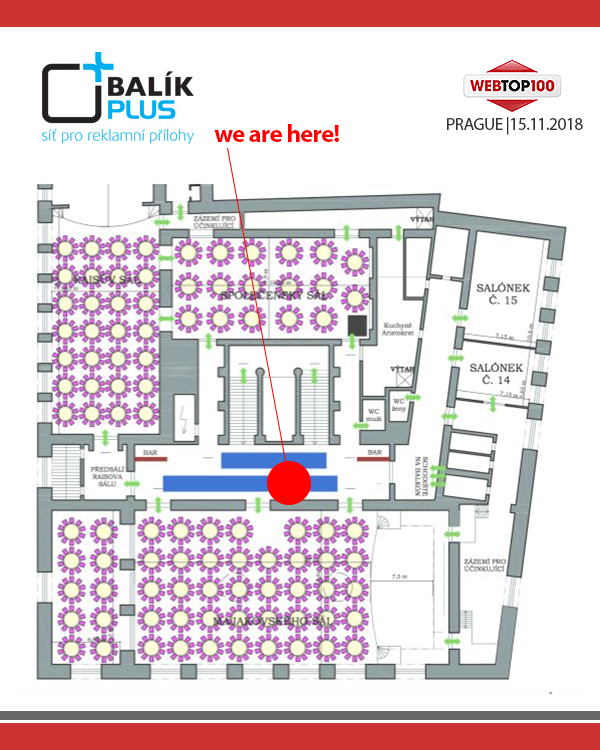 Already 15.11.2018 will be held a conference day full of news and trends of online marketing and our Czech branch of BALÍK PLUS will be there. More than 20 speakers, more than 370 representatives of various companies and agencies will meet in the conference rooms of the National House in Vinohrady, Prague, and will gain invaluable experiences, case studies, external analysis and inspiration to solve the situations of creation and effectiveness of online marketing campaigns as well as other topics related to online marketing. The exhibition will also take a part our czech branch BALÍK PLUS. If you are planning to attend the conference, we invite you to meet us and have a small takl and coffee with. Our country managers are ready to introduce you the concept of off-line marketing to reach online buyers as one of the most effective tools for acquisition and recruitment of new customers. They will be glad to provide you with practical experiences and real results that speak for themselves in the form of already implemented renowned e-shop campaigns. BALÍK PLUS location – WebTop100, Prague.